Sometimes words just can’t express how you feel when you “speak” to someone on a mobile messenger app. Instantly, you go through different emoticons offered by the messenger service and choose what fits your state of mind, sending them without saying a word. Emoticons have become a crucial part of modern communication. They facilitate the new form of mobile communication in which senders and recipients communicate anytime and anywhere, but often face difficulties guessing what the person on the other side is thinking. “My girlfriend used to get upset by short answers I sent her on a mobile messenger. 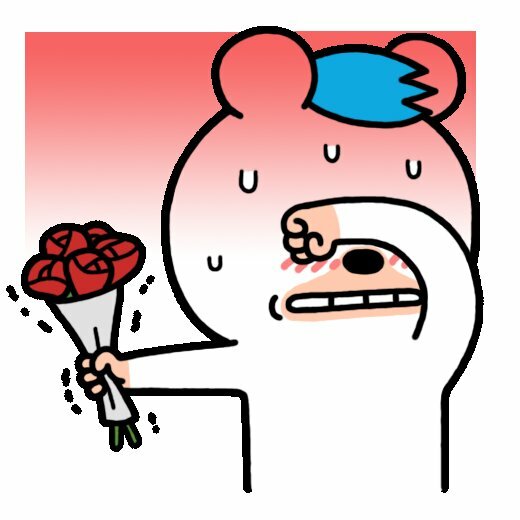 There was so much unnecessary tension and stress building between us just because we couldn’t hear voices and see each other’s face,” said Kwon Soon-ho, a character designer, in an interview on May 16 at his studio in Gimpo, Gyeonggi Province. Kwon, who goes by his pen name Hozo, is the creator of the widely loved Kakao Friends characters offered by the mobile messenger service KakaoTalk. 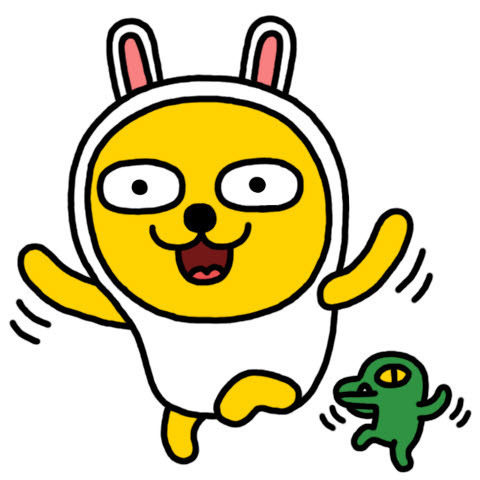 Kwon made seven of the eight Kakao Friends characters, including Neo (the cat), Frodo (the dog), Tube (the duck), Jay-G (homage to Jay-Z), Muzi (yellow pickled radish in a bunny costume), Con (green crocodile) and Apeach (peach). 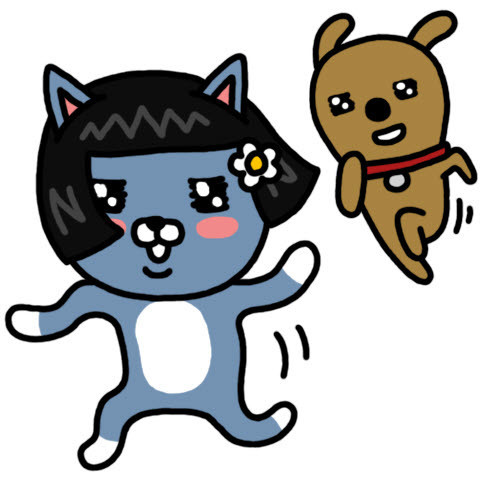 Kwon was asked to create characters that could be used as emoticon images for KakaoTalk in 2012. He made four characters -- Neo, Frodo, Jay-G and Apeach -- and sent them to the company. Kakao liked them and asked him to create a new character that can represent their brand. “They wanted something that didn’t stand out much, but still had a unique character,” Kwon said. Kakao wanted a bunny character in yellow to represent the brand’s symbolic yellow color. Kwon thought bunny characters were too common in Korea. He came up with the yellow bunny character Muzi, but hid a twist that escaped many people’s notice until their friends or colleagues pointed it out. Muzi is in fact a yellow picked radish disguised in a white bunny costume. He gave each of his character an individual identity such as where they are from and what they like, but he tried not to emphasize them as users may build prejudice against the characters that may limit their use of the emoticons. But for those curious minds, here are some details. Frodo is a mongrel, which gives him an identity complex. He is dating Neo, a fierce, wild female feline wearing a bobbed wig. Tube is a duck who easily gets angry when he senses fear and stress. Muzi is a yellow picked radish in a bunny costume, who is accompanied by the small green crocodile Con. Apeach is a peach which escaped from her peach tree after discovering that she was genetically mutated. Jay-G is a secret agent, who is a big fan of the hip-hop singer Jay-Z. Kakao Friends has become a successful marketing tool for Kakao, which runs 14 stores nationwide that sell products featuring the characters. The character products range from stationary items, mugs, pillows, to toothpastes. The company plans to open its 15th store in the heart of Gangnam in July. 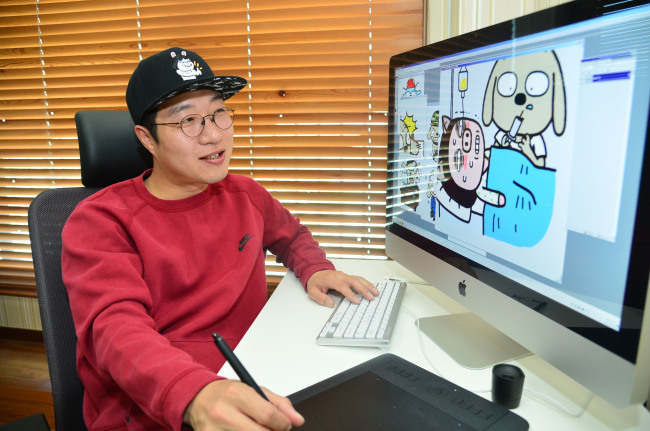 The characters are the result of Kwon’s long creative process that starts with observing people’s behaviors and learning the popular trends from entertainment shows and computer games. “I try to stay up-to-date with current trends,” said Kwon. Diverse images he remembers from people on the subway and fun episodes of TV programs become materials for his character development. “Creating a character out of a real person is more challenging than turning animals into animated characters. I thought Psy’s facial features such as his narrow eyes and buck teeth were unique, but Psy thought they were his flaws,” he said. 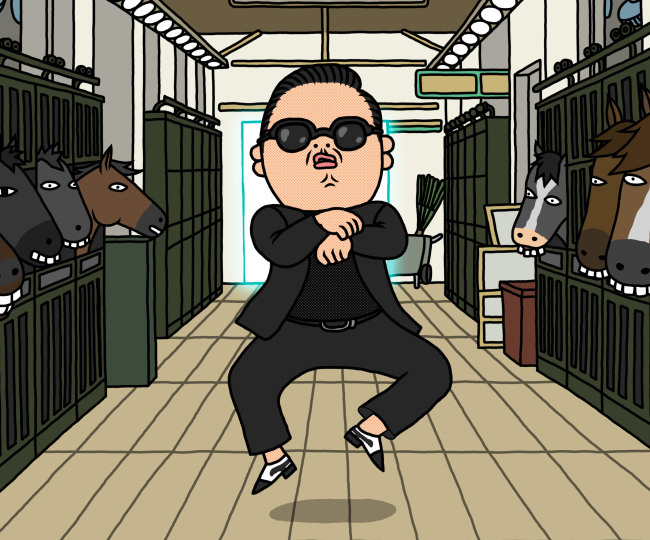 After numerous revisions they settled on the now widely known images of animated Psy dancing his signature Gangnam Style dance in a stable and the singer posing as a mermaid in the sixth album. Most of the time, Kwon works alone when he designs emoticon characters, but he said it’s a battle inside his head. “It’s so hard to sketch the exact mood that I imagine. I draw hundreds of different images in order to get a single image that represents the exact mood I want,” he said. While he’s best known for Kakao Friends characters, Kwon also created characters that are available on Facebook messenger and the Vietnamese mobile messenger Zalo. He offers more than a dozen emoticons of his dog character “Hello Brown” on Facebook messenger. For Zalo, he prepared three character emoticons -- two cute mice characters Dean and Alice and a tanned chick Chunky. “My emoticons are based on the 10 basic emotions. They include depression, sadness, anger, happiness, fatigue and boredom,” said Kwon. Before Kwon designed the characters for mobile messenger apps, he designed blog images for Cyworld -- a Korean social network service that was popular in the early 2000s -- and published short webtoons on an Internet news portal.